My very first video diary! It seemed like a good thing to do! Long may these diary entries run. It’ll be of no surprise to most of you that I’m a Moomin fan. Tove Jansson is a legend. 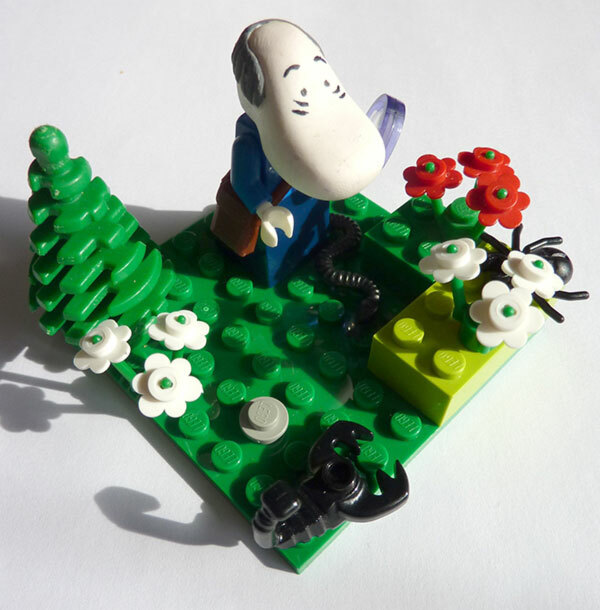 And so, as I was idly building Lego with my daughter recently I found myself wondering if you could make a Lego Moomin. It turns out, with a bit of Fimo and a lot of thought, you can. And of course, thinking big, I wondered if I could get a set approved on the fabulous Lego Cuusoo site . It took a bit of time and planning, and learning how to use the free Lego Digital Designer, but I’ve done it. 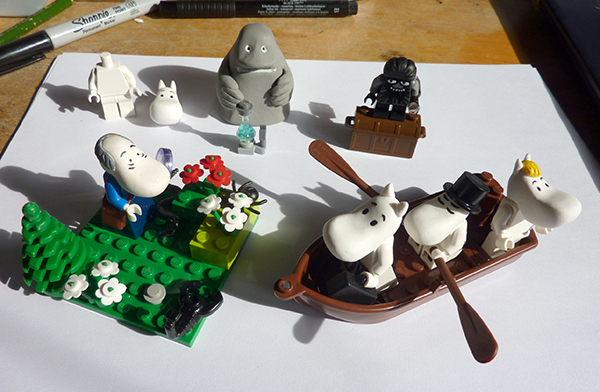 To get a set approved, you can’t use anything other than available Lego pieces, so I had to focus on a set incorporating the more human characters of Moominvalley. 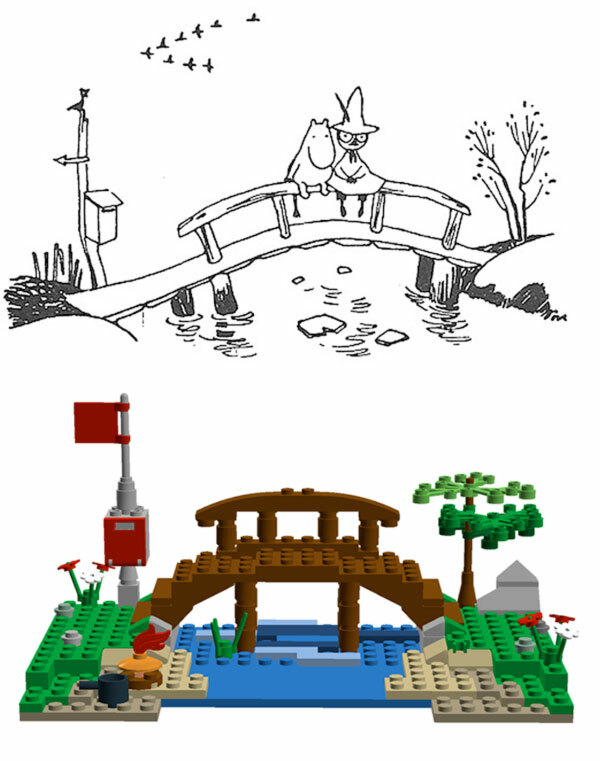 All this led me to make Snufkin, and a set depicting this little bridge (The illustration is from Finn Family Moomintroll!) he and Moomintroll always sit on. …And creating a little bug hunting scene for the Hemulen. I think this is my favourite of all the little Lego models I made. The Hemulen in Lego – the little satchel is perfect. It was a struggle searching for all the right bits, but with The Hemulen, I think I lucked out. I love his little shoulder bag! SO! 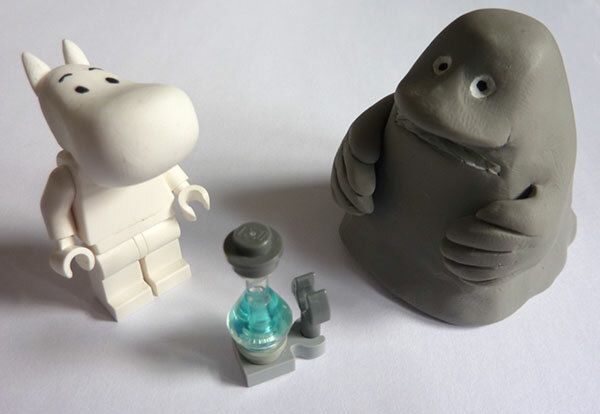 If you want to see any sort of Lego Moomin kit in the near future, go HERE, join up and VOTE! You never know, we might persuade them to make little Moomin heads too.